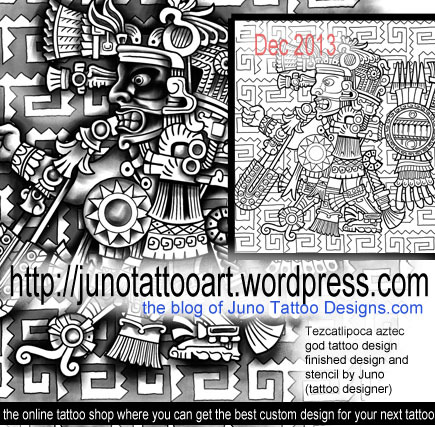 I love the Aztec theme! . 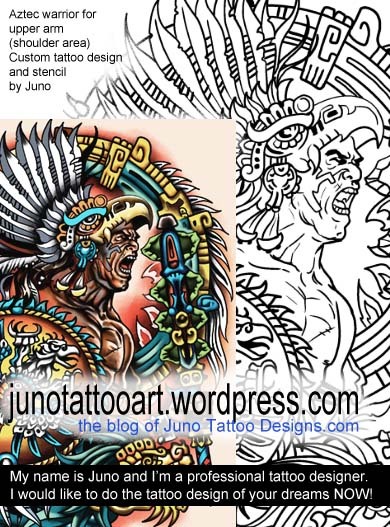 The ancient mexican art is one of the most strong kind of designs to do a masculine tattoo sleeve ,half sleeve or back tattoo. 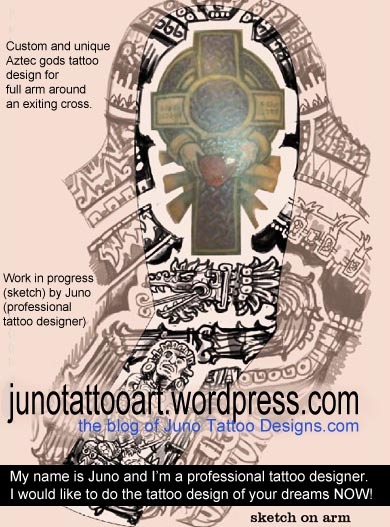 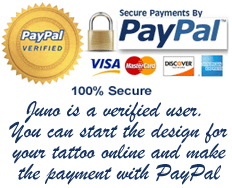 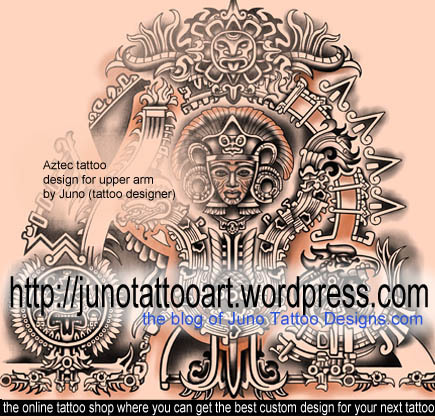 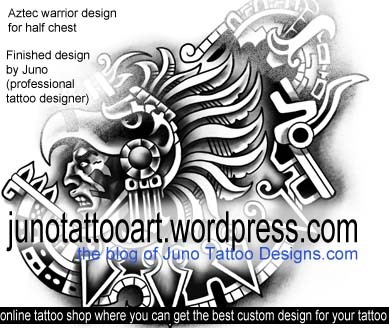 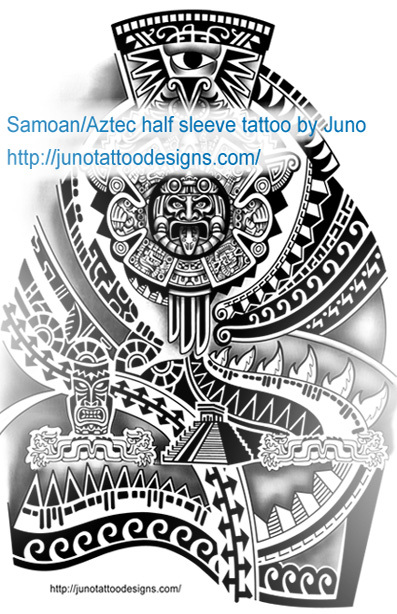 Aztec warriors, sun, serpent, warrior girl, abstract aztec designs… I love to do tattoo designs in this style.